Greece would have to be one of my favourite countries. I have wonderful memories of the Greek Islands and the food. Greek yoghurt and honey for breakfast, dolmades and stuffed peppers for lunch and spanakopita (spinach pie) for dinner. I remember it all, and it was wonderful, but apart from stuffed peppers I’ve never made Greek food. So, fast forward to last weekend. I was expecting guests and had a hankering for spanakopita. So as you do, I visited YouTube for the visual delight of seeing it made. I was impressed. I quickly scribbled out the recipe and went shopping. I was so impressed in fact, that I decided to make two – one for my guests and one for the freezer. I spent half a day chopping and crumbling – there was a mountain of baby spinach to destalk and chop, and another mountain of feta to crumble. I followed the recipe to the letter, and when it came out of the oven, it looked fabulous! It even looked fabulous on the plate… that was until we tasted it. My guests were very polite and ate it, but for me, it was so overpoweringly salty, I couldn’t stomach it. So sadly, what was left went in the bin as did the spanakopita that was in the freezer. Place a spoonful of the mixture onto a corner of the filo strip making a triangle and keep folding over to the end of the strip. Repeat until all the filo used. What’s a girl going to do with the last of the tomato crop after she’s already made enough tomato relish to last six months? Green tomato jam of course. I’ve never made it before, but as I discovered, it’s very easy and it’s also very delicious. 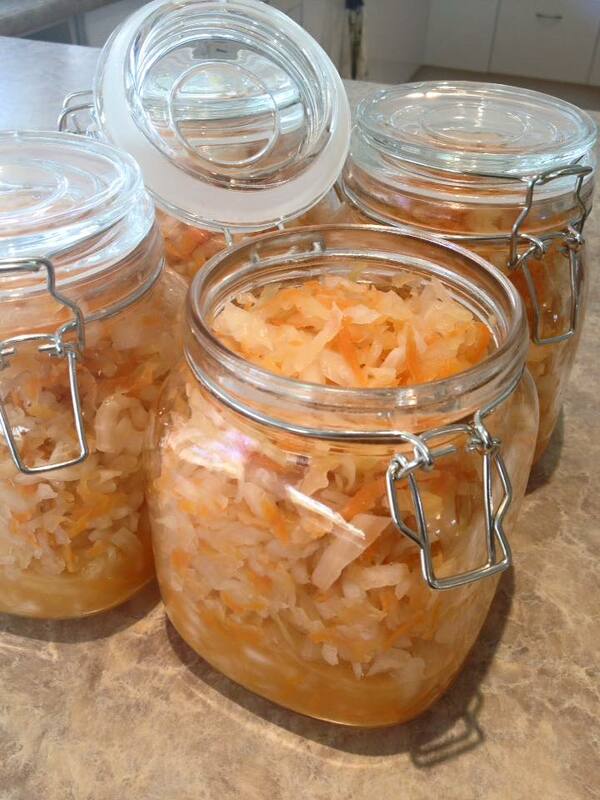 Raw Sauerkraut ~ Probiotic Heaven! Being European I grew up eating sauerkraut. My grandmother, bless her heart, was the one who supplied us with raw fermented cabbage. She made all manner of interesting pickles, including sauerkraut. We mostly ate it cooked, as a soup garnished with sour cream or as a side dish with pork. Both absolutely delicious, and while there is nutrition in cooked sauerkraut, as we all know, eating raw fermented cabbage is far better for one’s health, which is why I’ve decided to make it. A single serving of naturally fermented sauerkraut will not only restore your gut flora, it will give your body a bigger health boost than any probiotic drink or store-bought supplement. 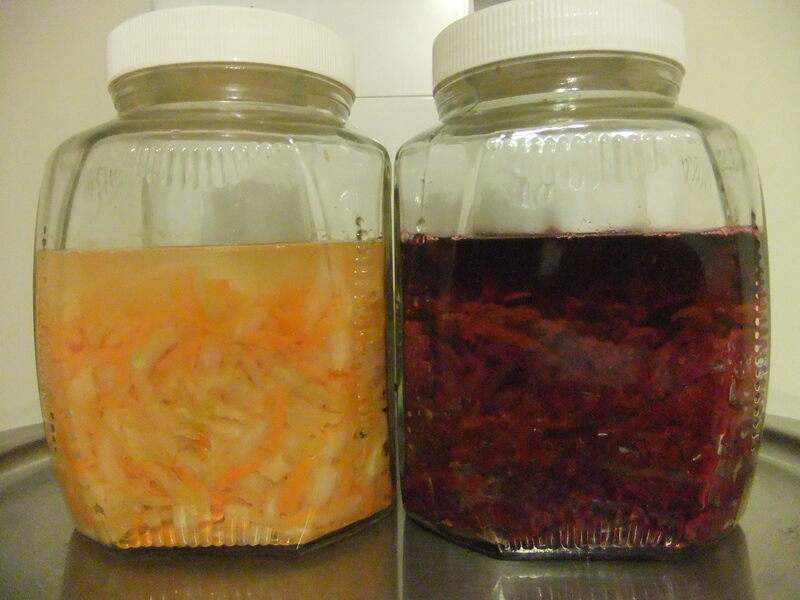 Being so probiotic rich, fermented foods are more easily digested. 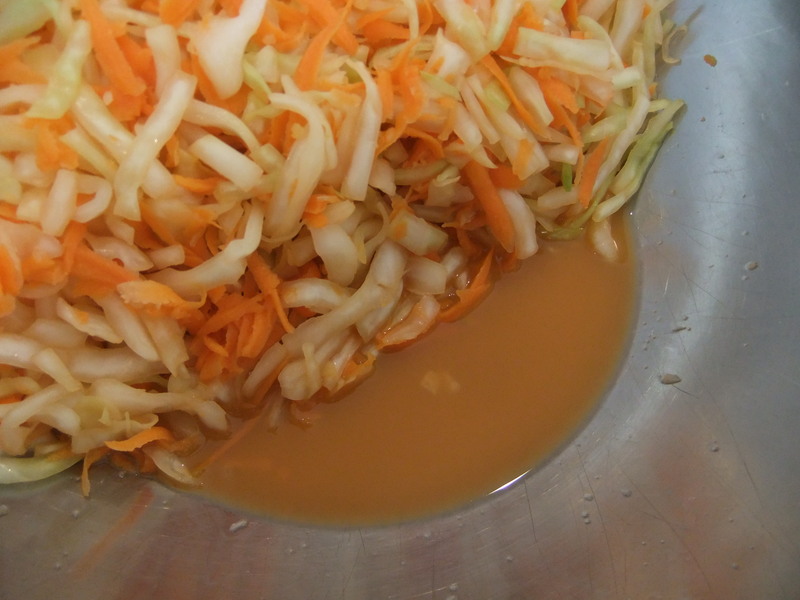 The fermentation process also increases certain nutrients, for example, sauerkraut has twenty times the bio-available amount of Vitamin C of raw cabbage. 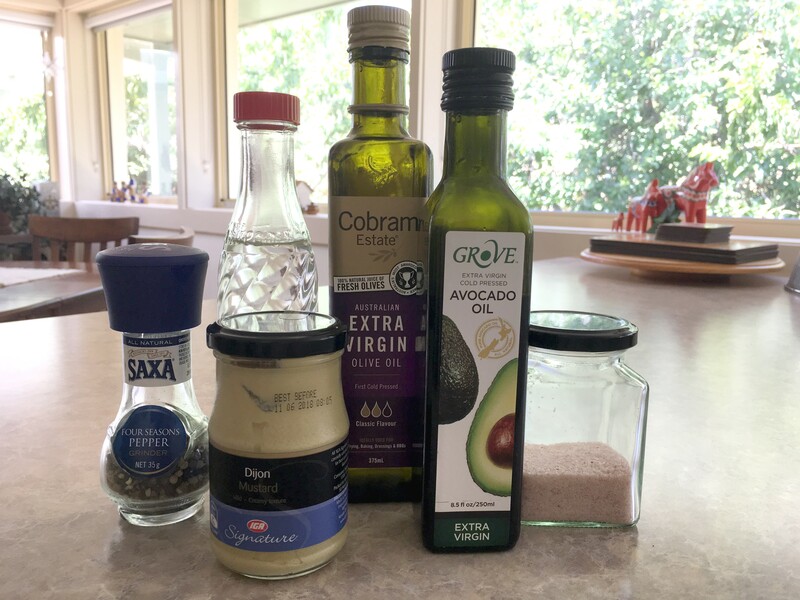 While fermented foods contain a high level of salt, therefore, best eaten as a condiment, the fermentation process cuts the sugar content of the food dramatically. All good news! Overall, fermented foods are a great support to immune function as they increase digestive enzymes, lactic acid, vitamins and omega-3 fatty acids, all of which aid in fighting off harmful bacteria in the body. For more specific health benefits of sauerkraut, you may like to visit Organic Facts. In my reading about raw sauerkraut the only point to be aware of is that cruciferous vegetables, such as cabbage, contain high levels of goitrogens. These are substances that inhibit the uptake of iodine in the thyroid gland. This effect can be overcome by an increased dietary intake of iodine if the quantity consumed is only small. You can find a list of 22 iodine rich foods here. Cooking cabbage reduces the effect considerably, but as sauerkraut is a raw food it is not advisable to consume large amounts, particularly if your thyroid is compromised. If this is the case for you, you can add iodine based foods such as wakame or kelp to your sauerkraut recipe. Discard the outer limp leaves of the cabbage. 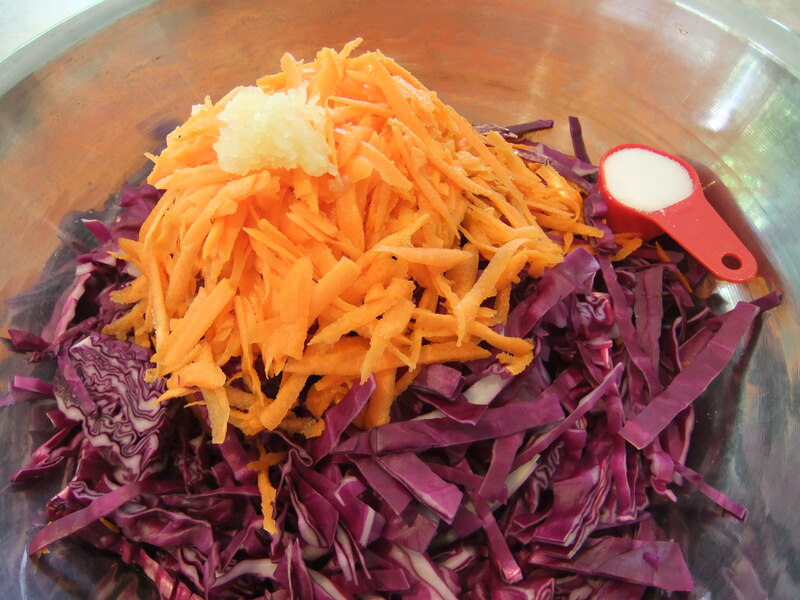 Remove and keep the next good layer for later use, then remove the core and slice the cabbage into thin ribbons. Peel and grate the carrots and apples, and crush the garlic. 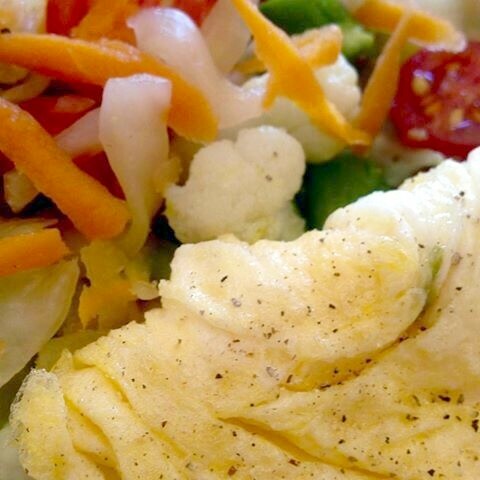 You will need 1¾ pounds or 800 grams of shredded vegetable in total. This is important as it corresponds exactly to the amount of salt you will be using. Place the vegetables in a large bowl adding any optional flavourings. Sprinkle the mix with salt then squeeze the vegetables really well with your hands for about 5 minutes until you see brine forming. Cover the bowl with a towel, leave it for a few hours and repeat the process. By this time, you should have a good pool of brine. Now it’s time to pack it into your jars. Push the mix down firmly with your fist so that the vegetables are fully submerged in the brine. Fold the baking paper about four times to the size of the bottom of the jar, place it on top of the vegetables and then put in the small jar, bottom down. You want the small jar to stick out of the top a little so that when you screw down the lid it pushes the vegetables down even further and ensures they are completely covered with brine. If you don’t want to use the small jars, you can push the vegetables down by filling the large jar with the best outer leaves of the cabbage until the sauerkraut is packed tight and covered with juice. While air is a no-no for the fermentation process as it allows bacteria and mould to grow, you may have to screw the lid on loosely if there is only a small space between the vegetables and the top of the jar to allow any gases to escape. You may even need to pour out some brine if it overflows. This didn’t happen to me as my jars were larger than the recommended quart size and I had plenty of room for bubbling and rise and fall of brine. Next, put your jars on a tray to catch any overflow, and then place it all in a spot with a fairly even temperature. The ideal is between 18-23 degrees Celsius or 65-75 degrees Fahrenheit. The brine will rise and fall with the temperature. Note that the higher the temperature, the quicker the fermentation. If you’ve never done it before, watching it all is very exciting. During the first week is when the bubbling happens. After that, it settles down. Just make sure the cabbage mix is completely immersed in brine. If you notice the level of brine has fallen below the vegetables, dilute a tablespoon of salt in 2 cups of water and pour some over until the mixture is just covered. If you see any mould, throw it all out immediately and start again. It’s never OK to scrape it out and keep going as many recipes recommend. There is more to mould than just what you see. Start checking your fermentation for flavour after the first week. You can begin eating it anywhere from one week to four weeks. I decided to let mine go for five weeks. The longer it goes, of course, the more beneficial bacteria you will have. 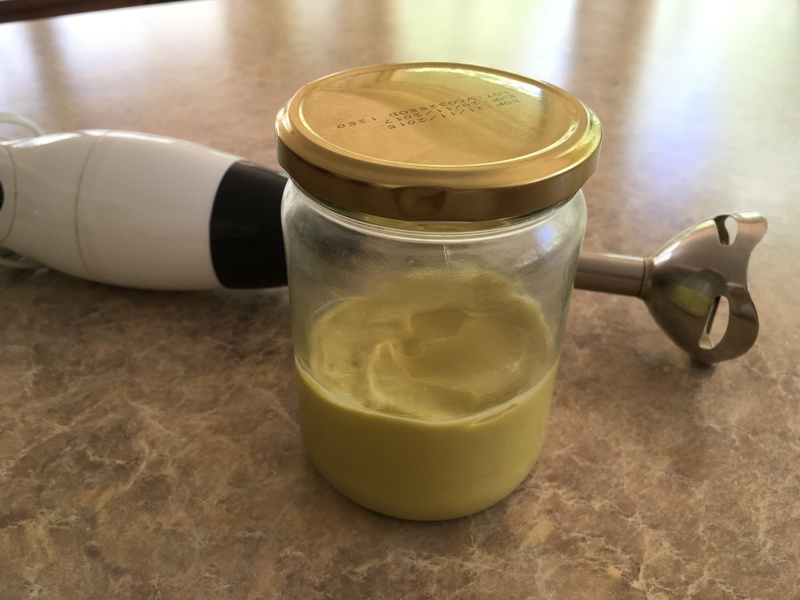 Once you are satisfied with the flavour, take the little jar and the paper out or the large cabbage leaves out, label it and put it in the fridge to stop the fermentation process. It keeps for a very long time, but it’s so delicious, it definitely won’t last for a very long time. Once you are comfortable making it you can begin to get a bit creative by adding different vegetables and flavours such as horseradish, turmeric, beetroot, ginger, fennel, hot peppers, onions, leeks, fresh herbs, raisins, currants, cinnamon, allspice, and lemon juice. And when it’s all done, it’s time to start eating it. The lovely tangy flavour goes with just about everything. It’s great in salads ~ really good if you add raisins as well. Also in hamburgers, hotdogs and sandwiches ~ goes very well with cheese, egg or tuna. It’s also delicious mixed with cooked vegetables, with an omelette as below, as a topping to soups, stews or pizzas, with sausages, added to Japanese nori roll fillings, or just as a condiment on your plate with a meal. So enjoy, and if you try any fabulous new varieties, please let me know in the comments below!